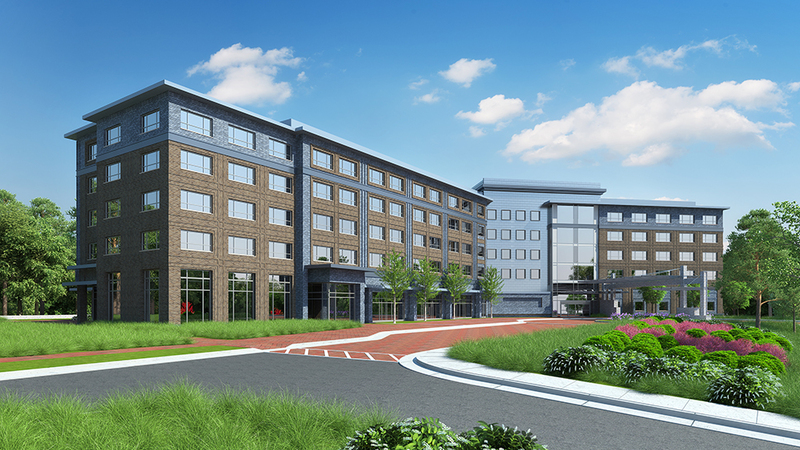 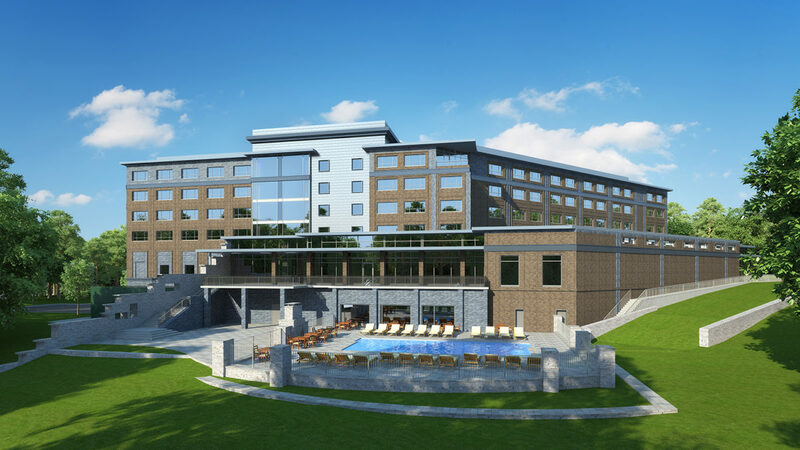 Located in the hospitality district of Centennial Campus adjacent to the Alumni Center and overlooking Lake Raleigh, this 165-key hotel will include 10,000 SF of convention space, a bar and restaurant area, fitness center and swimming pool. 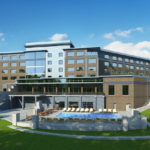 An outdoor terrace is located adjacent to the conference area and allows for special events or conference attendees to spill out onto the patio. 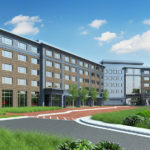 The hotel site is located in close proximity to the future Town Center and there are plans for a bridge or walkway to connect the hotel to the future mixed-use development. 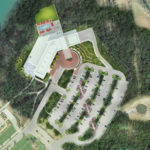 The landscape plan utilizes native and adaptive plants in a manner to mimic the existing vegetation being preserved along the edges of the site.